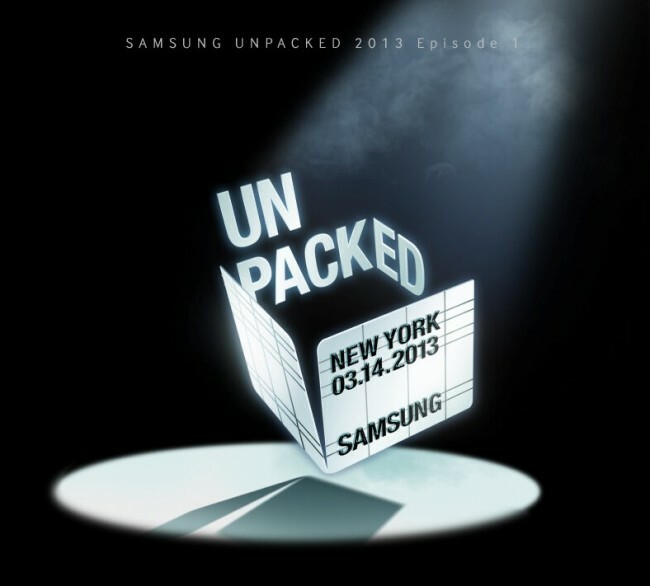 Late last night, reps for Samsung started to confirm to the press that their next flagship device would indeed be unveiled in the U.S. at an Unpacked event in New York on March 14. This morning, they posted a public press release through their Twitter account, officially inviting you all to join in on the fun. 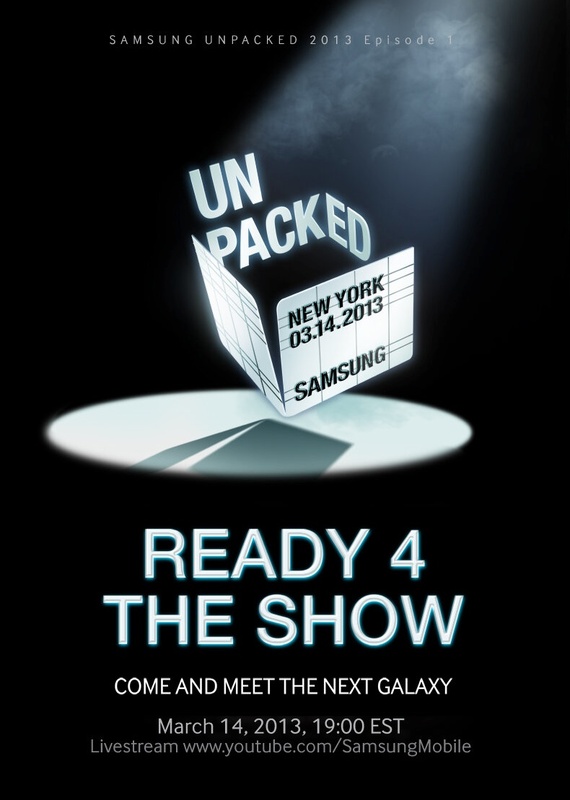 The event will be streamed live on YouTube, so that the world can see the new Galaxy, likely to be named the Galaxy S4. The event starts at 7PM EST on March 14. To watch the live action, youtube.com/samsungmobile will have it all. And yes, we’ll be there.